Margaret George is the author of several bestselling novels that explore well-known historical figures, namely Henry the VIII, Cleopatra and Mary, Queen of Scots. 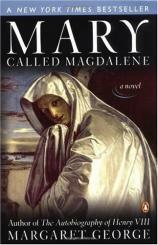 Her latest historical fiction MARY, CALLED MAGDALENE examines one of Catholicism's little known, yet profoundly controversial characters. In this interview with M.J. Rose, Ms. George contemplates the difficulties in integrating historic figures into fictional works, what inspires her to write, and how she approaches each novel. BRC: Reading one of your books is like entering another world. The experience stays with a reader long after the book has been closed. How much is the writing of the book like that for you? MG: It's the original reason I started writing. It was like a portal to a secret world, a world only I could see. (Not surprising that one of my favorite children's books was THE SECRET GARDEN) I could hardly wait to set down in this other world, where I could wander about and explore until something called me back --- usually way too soon. BRC: Your characters are rich and full and come to life so vibrantly, which is what makes your work so compelling. Do you dream about them? Do you talk to them --- out loud or in your head? How real are they for you? MG: I don't dream about them as much as I'd like, so when they do visit me in dreams I pay special attention. I dreamed about Mary Magdalene as a young woman. I saw an image of her standing beside a well, so strong and resourceful and vital I realized that was how she wanted me to portray her. I do talk to them --- both out loud and in my head. Sometimes I have to ask their help in portraying them. If they don't cooperate, I won't be able to capture their essence. They're all real to me, but I have to answer that differently than a pure fiction writer, because after all, they were real historical characters. BRC: What is it that you want your readers to experience first and foremost about your books? MG: That they get to time-travel and meet people who've been gone for a long time. And ponder what it means. There should be the added moral dimension that biography gives us to measure our lives against those of others and take stock. It may be too late for these characters, but it's not too late for you. BRC: Since all your novels are based on historical figures whose lives we do know something about, how much liberty do you give yourself to invent scenes? Where do you draw the line and how do you decide what is being faithful and what is taking advantage? MG: I invent scenes but not facts. I think of the facts as the stage props, but the actors can walk around them and sit on them as they please. Often what's missing in our knowledge is the motivation of characters. We know what they did --- it's on the historical record --- but not why they did it. Of course often the character may fool himself as to his real reason. I try to decipher his psychology, keeping it consistent. Sometimes I must choose between two very different interpretations of what drove the character. A biography can have them both but a novel cannot have a character whose behavior is contradictory. Obviously personal conversations and letters and thoughts must be conjured up by me; I have to be the character's medium. But I try to choose the words and ideas I believe the character would want. BRC: How difficult was it to create and write about Jesus in Mary Called Magdalene and did your own religious faith come into play in dealing with him as a character? MG: It was difficult to create scenes with the young Jesus, outside the context of the Bible. We are so used to seeing him in the usual 'setting' and so familiar with his words and actions --- which is why it's also difficult to make a 'Jesus movie' that sheds any new light on him. But I did want to go beyond the standard scenes with him and show him in unfamiliar places and situations. One of the hallmarks of Jesus was that he did unexpected things. Jesus himself was inconsistent, which made him a very difficult fictional character --- i.e. to be true to the character I had to make him startling at times even to those who knew him best. I think no matter how much research we do, or how many opinions we seek, we end up with the personal Jesus we picture in our own minds. People have said that in the 'quest for the historical Jesus' the Jesus they find depends on who is questing. Liberal Protestant nineteenth-century German theologians discovered a liberal Protestant Jesus, political activists see a Che Guevara-type Jesus, and so on. My Jesus is the Jesus I've personally known, so yes, my own faith experience shaped my portrait of Jesus. BRC: What is the most satisfying part of the whole process of writing a book? And what is the least satisfying? Did you always love to do research? Were you eager for projects like this when you were in school? MG: The most satisfying part is when I am poised on the springboard and ready to dive in --- research all done, feeling filled with all the necessary background, eager to set out on the quest. An entire book is spread out before me, and I am going to traverse it word by word with my character --- we'll be together the whole way. All is potential --- no mistakes in judgment or execution yet, just the promise of getting it just right. The least satisfying part is all the delays and roadblocks in the beginning; it sometimes seems that I will never get to stand on the springboard. As soon as a project is conceived, it seems (or am I being paranoid?) that all the forces gather to prevent it ever getting off the ground. That is probably why they say only one person in a hundred who wants to write a book actually will. In school I loved to pursue knowledge and factoids, but I didn't think of it as doing research. Perversely, I didn't like school assignments and projects that involved research, probably because it was on a topic I didn't choose, and also because I didn't like the idea that it was a competition with other students --- 'let's see how your research stacks up against everyone else's." That spoiled it for me. BRC: If you didn't have readers would you still write? MG: Yes, I know I would, because I wrote for years with no readers, just for the experience itself. BRC: I understand your next book will have Helen of Troy as its subject. Will you stay with this path of writing about strong women? Since it takes you four years to complete a book, do you have your eye on any subject beyond Helen? MG: After Helen, I will be writing about Elizabeth I in the sunset years of her life, in many ways the most interesting time. Not only because so many of the things we consider "Elizabethan" were happening --- the Armada, Shakespeare, Sir Walter Raleigh, the exploration of the New World --- but also because Elizabeth found aging a problem she strove to solve as she had political problems. A genius in finding ways to surmount other troubles, she failed with aging and never really came to terms with it. I find this psychology fascinating, especially when people today are employing so many techniques to combat aging, with little more final success than Elizabeth. BRC: What's your opinion of the Doris Kearns Godwin and Stephen Ambrose 'plagiarism and quotes' scandals that we've been exposed to over the last few months? What do you do to avoid picking up something you've read in doing your research? I think it's almost impossible to avoid being influenced by powerful writing by a persuasive historian, and then to find yourself echoing his or her ideas or even words --- especially if they're catchy. (I can't get Lacey Baldwin Smith's description of Henry VIII's flagship out of my mind, and I read it thirty years ago: "A thousand-ton hulk as overweight, clumsy and old-fashioned as the monarch himself.") But you really have to guard against it. One way I do is not to write out the exact wording of the original and not to check it again until after I've finished mine, and then only to verify the facts. Since I don't have a research assistant I can't speak from firsthand experience, but I would imagine that compounds the problem, plus the pressure to produce books quickly. All this tempts and enables us to take shortcuts to meet others' expectations. BRC: What would you say to an author just starting out now? Did you have a mentor? MG: I would say follow your own promptings and write what you like to read. And read a lot, read whenever you can. Ignore fashions in writing and suit your style to the actual material. Fashions change anyway and you want to clothe your ideas in the style that flatters them most. People say 'write what you know' and often people think that means if you live in the Midwest then you should write about the Midwest, but I think it means the emotional things you know rather than the geographical. I remember someone once said that we identify with Hamlet not because he's a prince but because of his emotions, the things he must deal with that we face also. We are each drawn to different emotional landscapes and we should write about them. We are experts in them, or at least in asking questions about them, even if we don't have the answers. My father was my real mentor. He had a Ph.D. in English literature and especially loved poetry, and he taught me to love it, too. He never made fun of my desire to write and the little books I produced as a kid, but he never made it his project as well, as so many parents do. If I did not finish a project, it did not bother him. In fact he never asked about them, which made them truly 'mine.' But he was always happy to read them, and give me his --- often unvarnished --- critical opinion. I'll never forget his evaluation of one of the draft sections of my Henry VIII book: competent but not stirring. It was a perfect description of it. So I knew it needed fixing. BRC: What five books are 'comfort food' for your soul? Do you have a harder time finding books to read now that you are an author? MG: I return to old favorites like putting on comfortable, familiar house-slippers. You asked for five but I found seven as I looked over my bookshelves. Dandelion Wine by Ray Bradbury. I re-read this paean to summer at the beginning of every summer --- it helps me really 'see' the season. Julian, by Gore Vidal. This novel about the apostate fourth century Roman emperor who tried to reinstate paganism is one of the best historical novels I've ever read. Gone With the Wind by Margaret Mitchell. I was raised with many of the values for women in the Old South and I like to re-visit that heritage, even though I'm glad women don't have to play by those rules any longer. Jude the Obscure by Thomas Hardy. The cold hand of Fate has never been more starkly portrayed. Madame Bovary by Gustave Flaubert. Again, the sad choices for women a hundred years ago, vividly depicted. Lord of the Flies by William Golding. I discovered this book shortly after it first came out while browsing through a library cart. I was still in high school when I read it, but I was captivated by both the suspenseful plot and the dark vision of human nature. The Glorious Adventure by Richard Halliburton. This book of a young explorer's journeys in the 1920s inspired my father as a boy. I loved the Indiana Jones aspects of it, swimming in sacred pools in South America where the Indians sacrificed maidens, re-enacting the journey of Ulysses, and so on. It helped his legend that Halliburton vanished into the sunset sailing a Chinese junk en route to yet another adventure. Yes, I do find it harder to find books to read now that I'm a professional writer. A wit once described a professional writer as "someone who can never take innocent pleasure in a bookstore again." That's not really true, but I do find that having to do so much reading for my research has made me rather one-sided for a particular type of book. However, I do try to follow recommendations for books that friends have enjoyed. BRC: What might readers be surprised to learn about you? MG: That I love movies and pop culture. It seems out of character, doesn't it? 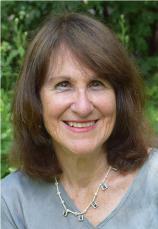 For more about Margaret George, including an in-depth piece on how she researches her work, go to www.MargaretGeorge.com.